After an exciting night in which hundreds of Moose Javians gathered in Crescent Park for Band City Fest, an outdoor summer music festival, it seems some killjoys have gone and vandalized the venue, The Crescent Park amphitheatre, putting a damper on what was otherwise an enjoyable community event. 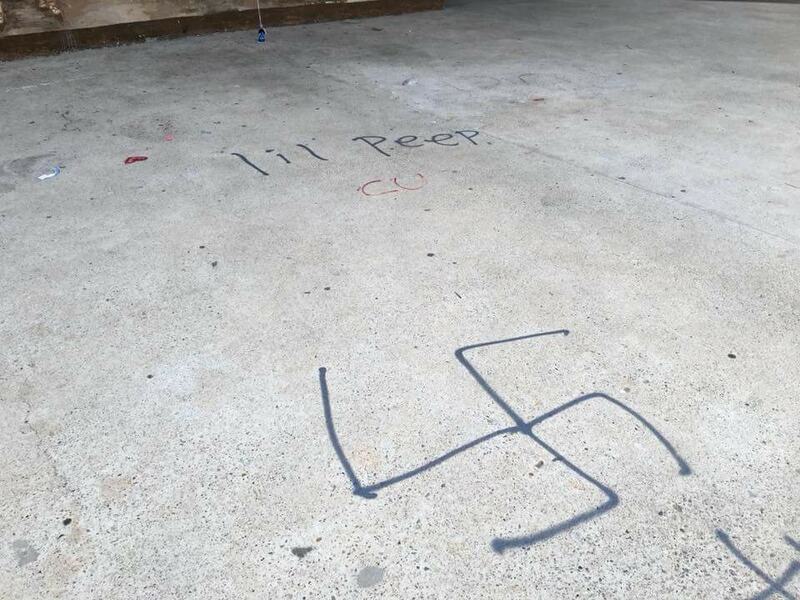 Benches were destroyed and the band shell was graffitied with graphic images, coarse and offensive language as well as swastikas. Citizens of the community responded quickly, many going down to the park to help clean and repair the damaged property. The City of Moose Jaw thanked the citizens but asked that they not attempt to address the graffiti as they use special chemicals. Below are some photos of the incident. Attribution for the photos cannot be located. We pulled them from MJ Talks on Facebook. Some are graphic and contain offensive language so if you don't want to see that or you want to maybe not open them in front of children, here is your chance to move the screen so they cant see it.